I simply enjoy hearing about their lives, their careers, their paths. I think that they make wonderful role models for our current Spanish students. So I was very happy to hear from Carrie Casady. Take a look at her trajectory as a student and as a graduate. Is there anything that you would like to emulate? Don't forget that networking is a very important part of what you should be doing while you are a student--could you add Carrie to your network? Spring of 2010 (SPAN 232) I did my community service at Leal School working in the kindergarten classroom. Highlights from this work for me were helping the kids to read and seeing them progress in Spanish and English. Spring 2012 (SPAN 332) I did my community service at ECIRMAC, which helped me to use my speaking skills in an office setting, as well as understand the experience of refugees in Champaign/Urbana. I feel that the CSL coursework has immensely informed my career and education decisions post-undergrad. These two courses gave me experience and proof of how my Spanish/Latin American Studies education could be put into practice in the real world. Academics aside, I also had fun doing a lot of the service work as well! 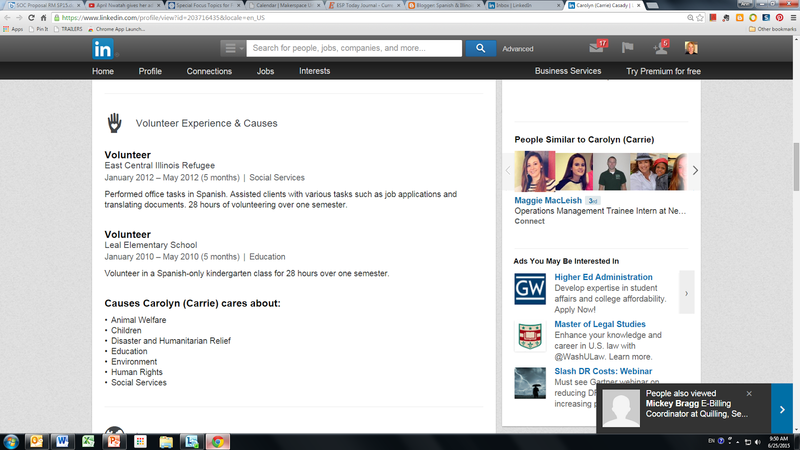 I would love to continue incorporating community service and helping others, while using Spanish, in my future career. I studied abroad Spring 2011 in San Joaquín, Costa Rica. I also studied abroad as part of GLBL 298 winter break course in Nicaragua, with a community service (NPO) focus. I have been working for the past year at the Greater Illinois Chapter of the National Multiple Sclerosis Society as their Latino/Hispanic Outreach Coordinator. I work in the community, and also helped to organize and execute a national focus group program for Spanish-speakers living with MS. The results of this study were presented at a national consortium and will hopefully help the society to expand their resources for Hispanics living with MS. I'm hoping that a social work degree will help me to advance a career in the non-profit world. 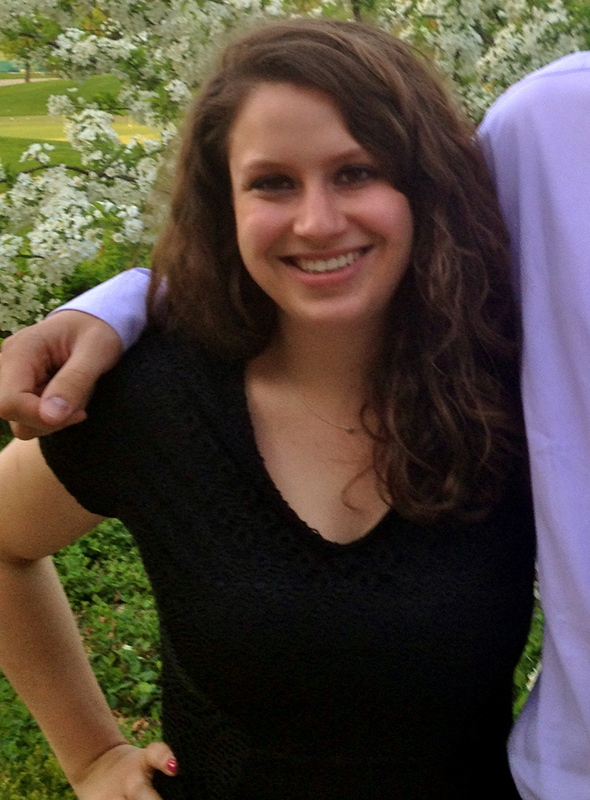 Take a look at the way Carrie describes her CSL work at the Refugee Center and Leal School. How have you represented your CSL work on your resume? On your LinkedIn page? Make sure potential employers know that you have worked independently in bilingual and bilingual client-based situations. Congratulations to Carrie on her continued good work in her job, and good luck to her as she eventually pursues her goal to obtain a Master's in Social Work. She is a bright example of how we can continue to engage with the Spanish-speaking community after graduation and on the job.